(Bass Builders). 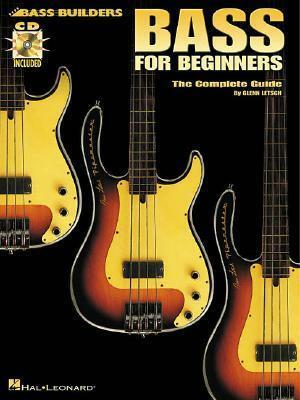 This book/CD pack by professional bassist Glenn Letsch provides the basic tools for solid, fundamental electric bass playing. It covers topics that all players need to know, such as: proper left- and right-hand technique; reading standard notation and tablature; music theory and application; bass isometrics; scales; ear training; and more! The book also answers frequently asked questions, and provides a special section of practice routines for the beginning bassist. The CD includes 99 demo tracks.